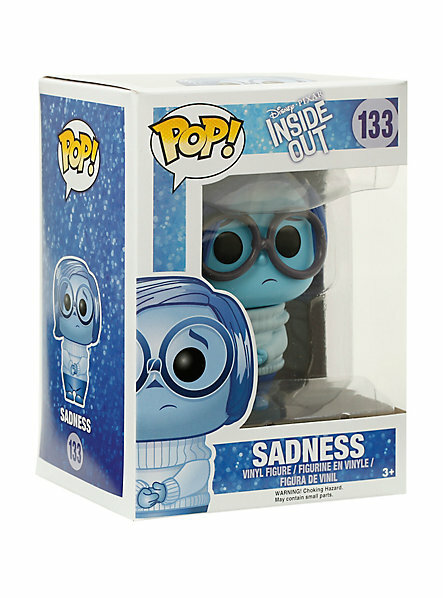 Sasaki Time: Giveaway: Sadness Funko Pop from Pixar's Inside Out! Giveaway: Sadness Funko Pop from Pixar's Inside Out! Enter win a Sadness Funko Pop from Pixar's Inside Out! She is one of my favorite new characters from the movie! My grandchildren are really excited. My whole family are really excited to see inside out when it comes out. Me and my daughter are super excited to see it! Me and my friends are. We have seen the Pops and they look so cute! My grandsons are excited to see it! Please pick me!! Loved the move. I am! I've loved all of the other Pixar movies, and this one looks great.